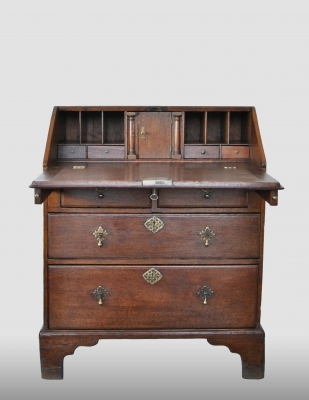 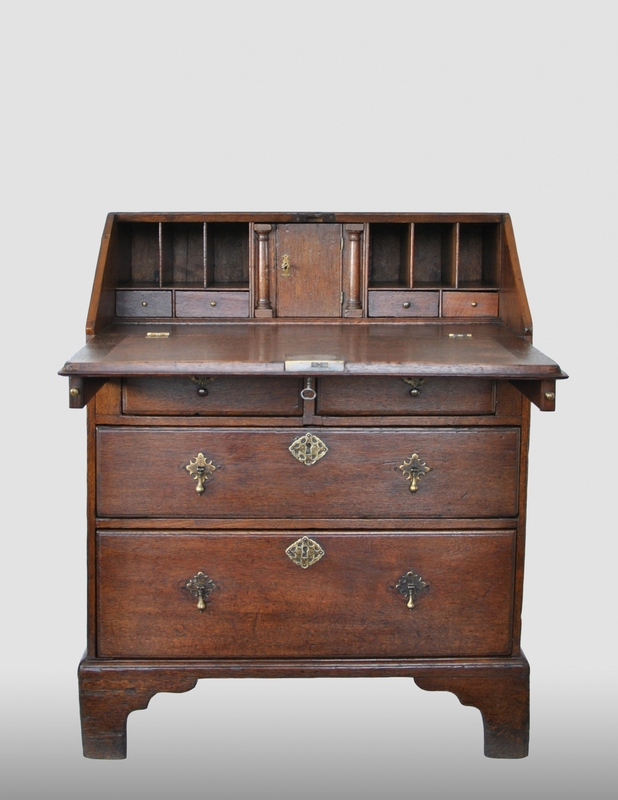 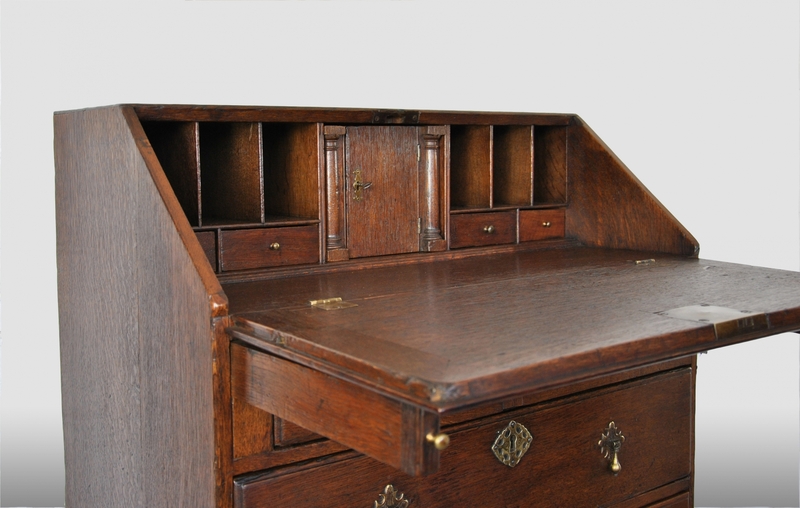 Very small English bureau with a beautiful old patina. 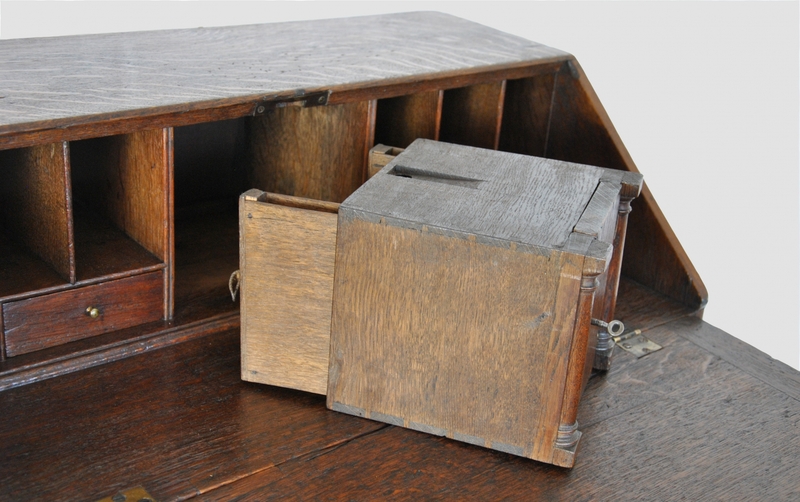 In the interior drawers and a pull out centre with secret drawers, made of oak. 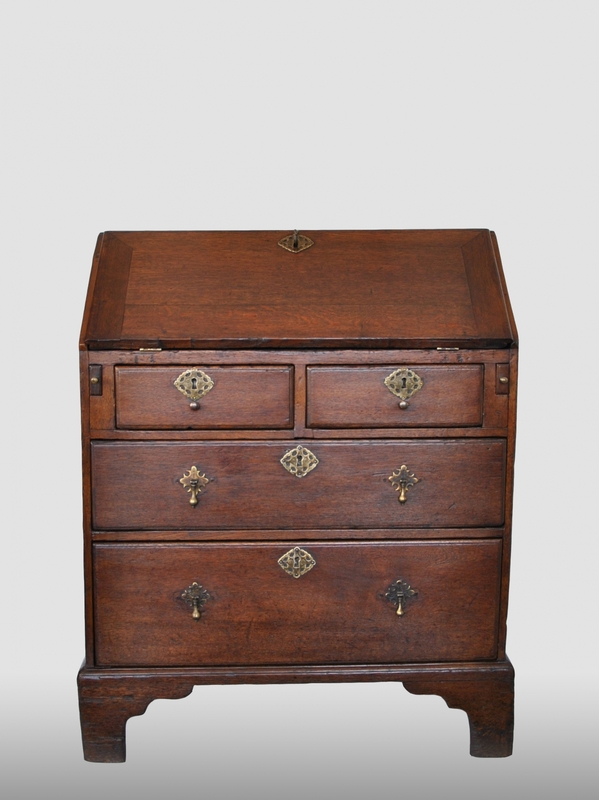 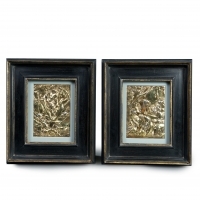 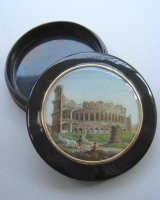 Size: Height: 97 cm Width: 76 cm Depth: 45 cm Depth opened: 76 cm Date: About 1775.